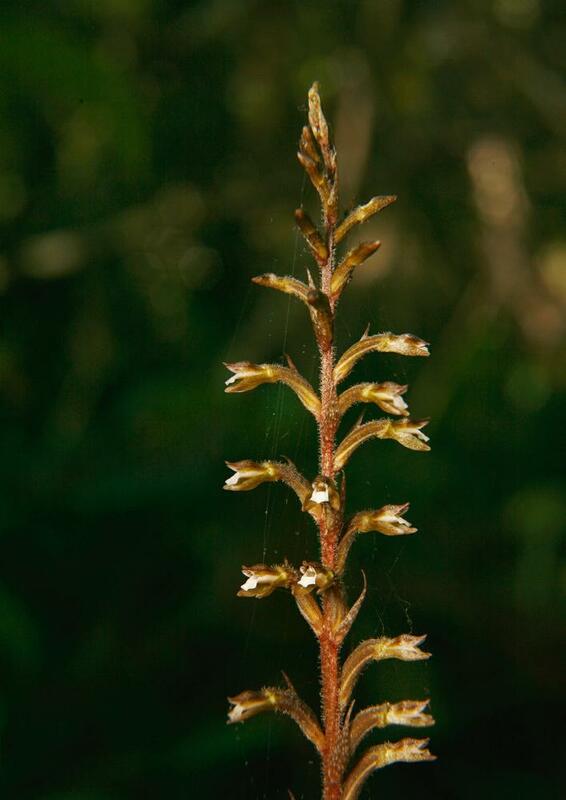 The genus Cyclopogon consists of sympodial orchids that may be terrestrial, lithophyte or epiphytes that are widely distributed throughout the Bahamas, Cuba, and the southeastern United States (Florida). Habitats include damp to dry, low to upper elevation levels, oak-pine forests, scrubby meadows, shady river banks, mangroves, or tree filled depressions in lava flows. These erect plants have short, delicate, unbranched stems, each with a basal rosette of green leaves suffused purple. Leaves may senesce at the time of flowering or shortly thereafter. 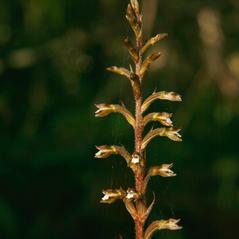 The slender, smooth to hairy, inflorescence has small, tubular flowers, sometimes suffused with red-brown marks or streaks. The translucent petals have a conspicuous mid-vein. 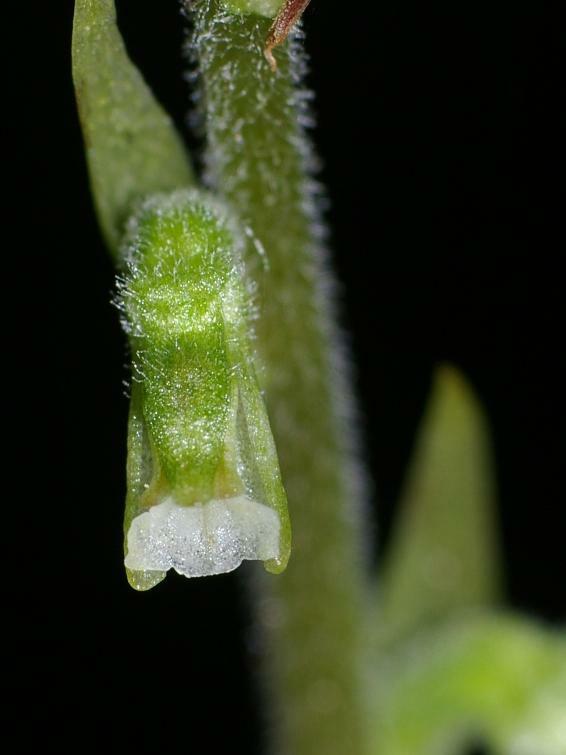 The tri-lobed labellum is white and spear-shaped, clawed, with a fleshy lobe in the form of a hook on each side of the base. 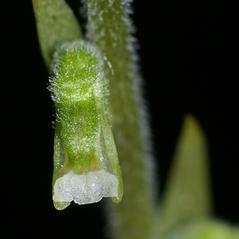 The flowers have a slender, small to long, curved, slightly hairy column.